So I’ve become a bit of a geek t-shirt collector in the past few years. After deciding to embrace who I am and how I want to be seen, geek shirts are my calling card. Whether I dress them up with a blazer and heels, or just toss on a pair of jeans and my Chucks, I love the reaction my geek t-shirts get out of people every time I leave the house. 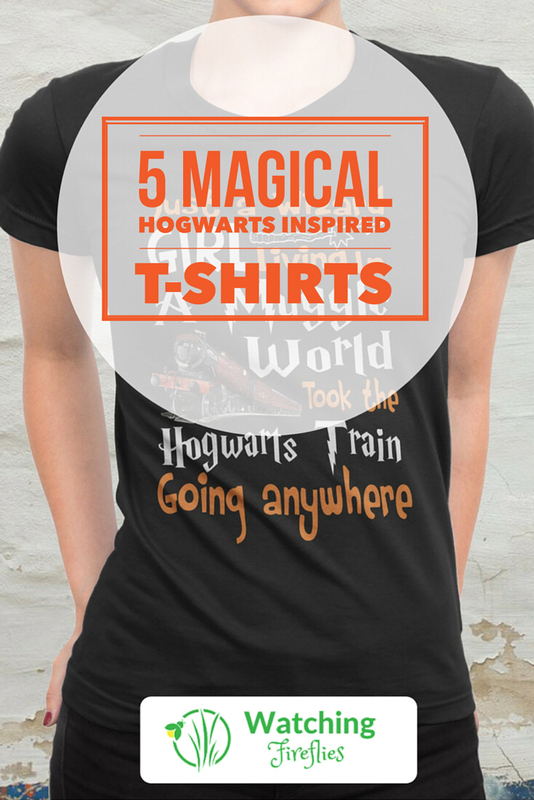 I recently decided to go on the search for Hogwarts related t-shirts. 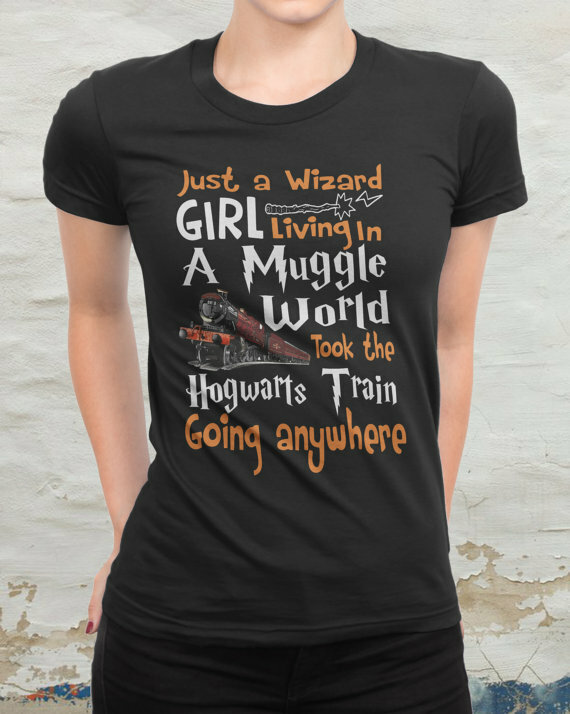 Sometimes it’s fun just to see what you will find if you are looking for something specific instead of the broad view of Harry Potter t-shirt. Let me show you five of my favorites! 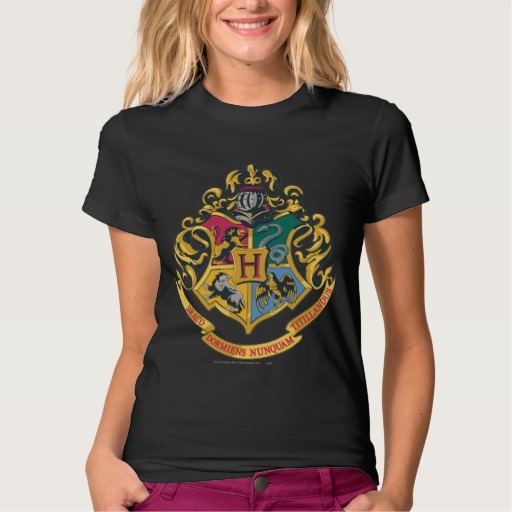 Instead of showing of pride for your specific house, why not show off some Hogwarts pride! You can find this t-shirt available with multiple background color options at Zazzle. Ok, how many of us wish this was true? I know I do! Teerocket has this tee and so many others that you’ll want to take a look at for your geek collection! This tee seems appropriate with Harry Potter being at Disney Land now. I had to take a moment to double check to make sure I was processing what I saw correctly. That means it’s a keeper! Jumshop has this tee and many other geek related t-shirts available at their Etsy shop. I have to admit to this one being one of my favorites. I love the whimsical feel of it with the light lines in the background. At the same time, it brings out the seals for the four major houses. You can find this tee at Zazzle and pick your favorite shirt color to go with the image. 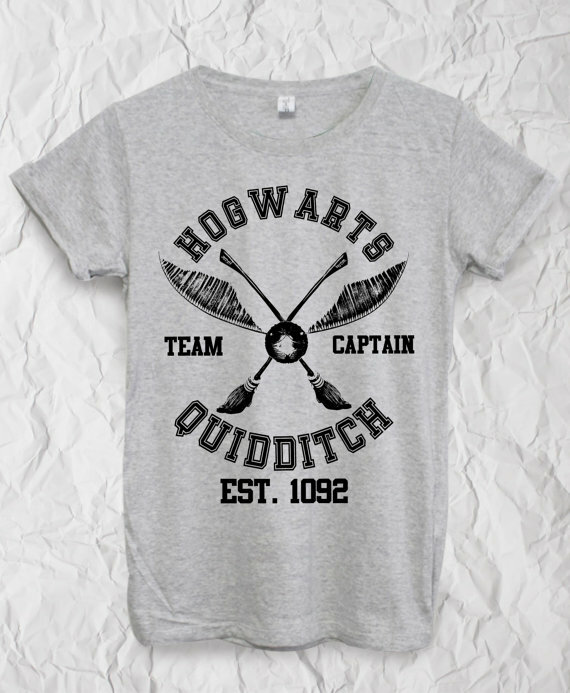 Show off your school pride in this Hogwarts Quidditch Team Captain tee! I’m planning on adding this one to my collection for workout tees. GodspeedYouShop has a lot of Harry Potter inspired tee shirts as well as a lot of tees for other shows. Their store is worth giving a look.